Behringer just announced a Eurorack case (104HP). Not sure of the quality, because I guess there's a reason for the high prices of most cases... But that one might finally decide me on building a small FX system ! Looks pretty decent. Doesn't look like it's got any openings anywhere for power cables etc, though I guess you could use one of the front-feeding power supplies (uZeus or similar) to keep things compact. Also I wonder if it can be opened to add extra sliding nuts—not that it's likely it'd fit more than 26 modules, but hey, good to have that option! In terms of quality, not sure if I can really talk about that, as my current Euro setup is just some Elby Designs rails screwed into a little box I found at Savers, haha. Works well though! Tape a cheap fan to it in order to do FM synthesis. Edited by bitchroast, 15 April 2019 - 12:44 AM. What’s that one semi modular drum machine that uses alligator clips? Anyone heard anything on it? Anyone ever used a "Music from outer space" Noise Toast? 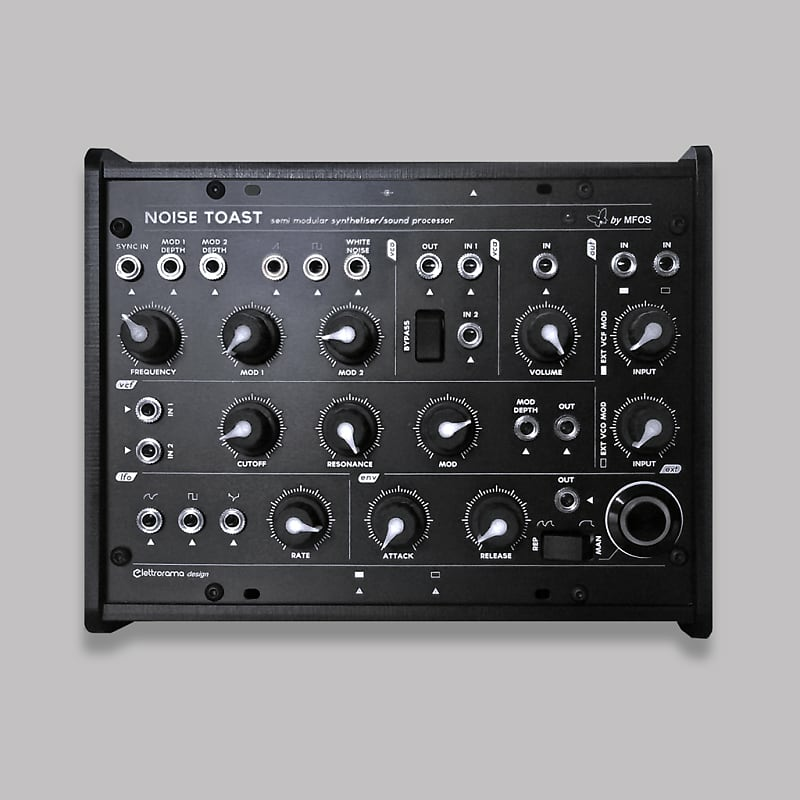 I think a semi-modular standalone synth like this would be the next evolution in my setup. Edited by fletcher, 17 April 2019 - 03:27 AM. The markup on Sennheiser at Guitar Center is something like 60%-70% so make a friend at Guitar Center and you can get a brand new pair for around $225, that's the only way I was able to do it. All the GC owned brands are about the same, too, so you can get some pretty decent (some of the Sterling mics are pretty good for the price even before the discount), for good prices that way. What I'm getting at is you made the right move, there are more opportunities to get a good price on headphones than to get a pile of good EQs. I haven't tried an MFOS synth but I used to flow his web site a lit and have his book and back then at least they weren't directly compatible with Eurorack AFAIK. Semimodulars are cool though, they're kind of my ideal, probably because I've always wished for an Arp 2600. Edited by RSP, Yesterday, 06:28 PM.